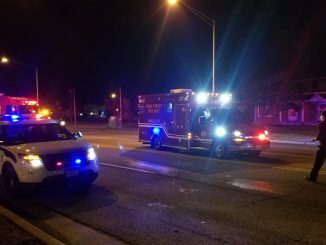 Park Forest, IL-(ENEWSPF)- It took an officer facing him with gun drawn and about a dozen other officers arriving on the scene before a Gary man complied and exited his vehicle, arrested on a warrant out of Park Forest. Tommie L. Wells, 33, 4421 Jefferson St., Gary, IN, was arrested on January 11 and charged with possession of a controlled substance, resisting, and processed on a warrant out of Park Forest charging battery. Mr. Wells was also issued a municipal citation charging possession of cannabis. An officer on patrol in the area of Allegheny Street and Antioch Street saw a green 2003 Ford F-150 pickup with a temporary Indiana registration plate. The officer recognized the vehicle and knew that the registered owner of the vehicle was Tommie L. Wells, according to police. 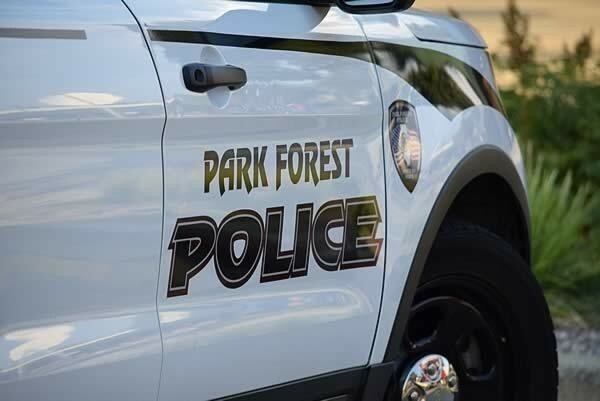 The officer also knew that Mr. Wells was wanted by the Park Forest Police Department and had an active arrest warrant, according to the report. The officer followed the vehicle for a short period of time. The vehicle drove past another officer who was stopped on Algonquin Street. That officer positively identified the driver as Tommie Wells, according to police. The officer following Mr. Wells activated his emergency lights and the vehicle pulled into a driveway in the 100 block of Algonquin Street. After making contact with the driver, Mr. Wells, Mr. Wells started to make “furtive movements in the vehicle, such as moving his hands out of sight, and he appeared to be trying to grab or conceal an unknown item,” according to the report. The officer grabbed Mr. Wells’ wrists through the open window of the vehicle to ensure that he did not reach for any contraband or weapons while the officers took him out of the vehicle, according to police. Mr. Wells aggressively pulled his hands back into the vehicle and allegedly reach toward the center console, according to police. Due to Mr. Wells being wanted; considered armed and dangerous, according to police; and “having a known history with firearms,” according to the report; the officer took a step back and drew his service weapon. The passenger complied and stuck his hands out the window. Nine other officers arrived on the scene. Mr. Wells then unlocked his door and exited the vehicle. Mr. Wells complied with instructions and was taken into custody. The passenger was detained but later released without charges.